For what seat all seats are not the same. I can give you information if I only know what your looking for. i honestly am looking for something like a Porsche seat 90/10 road/track 6'3" 250 40" waist. Not sure what really fits that criteria out of your line up. At 6'3 250 your very limited as to what will fit you and the car. At 6'3 are you long leg or long torso? 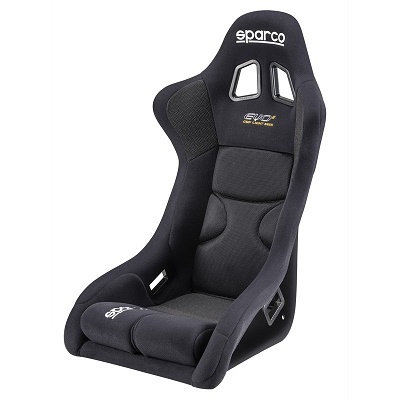 The only seat that I know that may fit you would be the Sparco EVO II US. Would have to mount with the flat marrad bracket. Really need to sit in one first. Waist is not really a good measurement for seats. A EVO III will fit you won't fit in the car with an full interior, carpet, and door panel. You maybe looking at a custom setup with a full race seat like a Kirkey or something like that. is there anyway to use something like this on sliders? You can moves the seat up closer to the roof would need to use Sparco brackets and sliders. If your taller than 6'1 maybe tough without hitting your head on the roof. 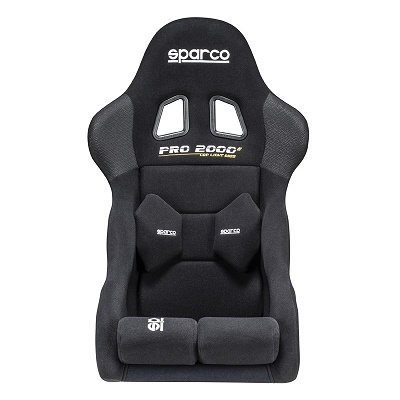 You can use the sparco base mount slider and side brackets will work fine, your boyfriend may need to lean the seat back as far as it goes or he maybe very close to the roof with his helmet on, street driving without a helmet he should be good. PM us and we can work up everything you need to get your setup.